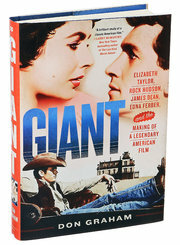 Giant was one of WB’s biggest films – yet the blue ray release received a disappointing upgrade released as part of the James Dean triple set. Watching it again, the quality was inferior to the amazing standard Warner has set. Sound was also disappointing and a remaster hopefully will be an option – but as is probably the case, interest might be low and the remaining elements just not worth the expense of a restoration. Has anyone else found the print to be disappointing? The reviews on release were all extremely positive – but on my very large screen the quality was more like a DVD. By the way, fans of the film might be interested to know that there's a new making of book due out this week called Giant: Elizabeth Taylor, Rock Hudson, James Dean, Edna Ferber, and the Making of a Legendary American Film by Don Graham. 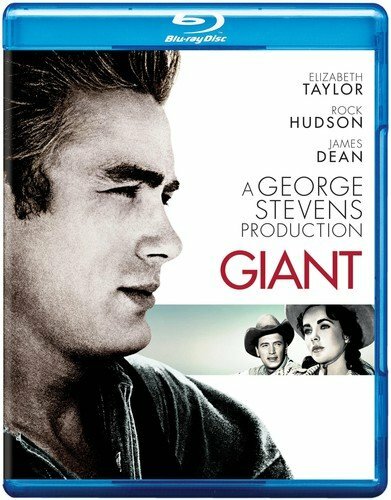 Giant was one of WB's biggest films – yet the blue ray release received a disappointing upgrade released as part of the James Dean triple set. Watching it again, the quality was inferior to the amazing standard Warner has set. Sound was also disappointing and a remaster hopefully will be an option – but as is probably the case, interest might be low and the remaining elements just not worth the expense of a restoration. Has anyone else found the print to be disappointing? The reviews on release were all extremely positive – but on my very large screen the quality was more like a DVD. Giant, unfortunately displays the worst attributes of WarnerColor, and its use of single strand negative cutting. It should also be remembered that when Warner Home Video was responsible for releasing Blu-ray discs, the quality was variable to say the least. It is only since Warner Archive have taken over the Blu-ray program, that the quality has been so consistently high. Speaking of George Stevens i hope Gunga Din will get a blu-ray release soon. The 2004 dvd release i saw a few months ago is ok but could look better. Yeah but even Archive probably couldn't salvage Giant. The source materials were pretty FUBAR'd even back in the 50s. The reality, having examined the elements, is that the current Blu-ray is a quality disc. Thank you for making that very clear to all. When I got that James Dean Blu-ray set, I watched East of Eden and Rebel Without a Cause pretty soon after getting it. I have yet to watch Giant from it. I had watched my DVD of it shortly before receiving the set, and I've just never gone back to it. I need to do something about that relatively soon. When you're ready to return to GIANT, take one quick last look at the DVD before watching it on the Blu-ray to greatly increase your level of appreciation for the latter. The Blu-ray of Giant puts the DVD to shame in every way. Just look at the handful of non-optical shots in the Blu-ray of Giant – they look amazing. Unfortunately, this film has more opticals than about ten other films combined. Unfortunately, not only Opticals, but no cut-ins. When there’s an optical, it can go for 200 feet. The RAH review is a major and mandatory prep read. Everything is placed within its proper perspectives and lends the proper balance of what one is about to view. Upon the BD release of Giant, I read RAH's review and did not hesitate on making my purchase. Again, I returned to Mr. Harris' review about a month ago – some 3 plus years after its initial posting – as I was about to embark on an altogether different viewing through the prism of a 4K up-rez. With a stack of multiple titiles, my BD of Giant was initially thrown into the Sony 4K player as a "just to see what its like" reference. Giant never made it out of that player until 4 hours later, No doubt, we have seen better on BD; but problematic film stocks deserve to be considered in a case by case scenario where extensive works were performed to the utmost. Yes, en totale. I could see where Giant wanted to go or, should I say, where it once was. Remarkably, though, Giant still remains…well…Giant. And this experience couldn't help but to make me all the more grateful for the those many older films that were able to thankfully find its ways to a finer light on BD. BOTTOM LINE: Giant remains a Must See and a Must Own. That was my point – the opticals go on FOREVER in Giant and there are a ton of them of that duration. That was Mr. Stevens' thing – he loved his slow dissolves. Sometimes you cut out of a long optical for one shot, then you're back to another optical for the next 100 feet or whatever. I have never seen Giant, but I picked up this disk on sale last summer. I'm glad to know it is at least a serviceable viewing copy for one who wants to watch for the first time. I need to get this one and Zulu in the rotation soon. (At any given time, I have about 30 disks that need watching). I got the link open(6pp) by using the link from M90GM but the original link at the top of the page for the James Dean Collection was to Coco each time I clicked it. Whenever I read someone’s comment regarding a previous DVD release that beat a current Blu-ray, I move on. It’s just not true. I did my own a/b comparison not only the US dvd release but the Canada 16:9 dvd limited release and the blu-ray is the way to go to see this film. Was the original camera negative tossed once the dupes, master positives, etc used to create the long disolves where printed. If the original camera negative is still available could the disolves be recreated? Could you expand a bit more? Well, I went to watch Giant tonight and got to Chapter 16 when the picture began to break up. I took out the disc only to find most woefully that there was a small gash in the dish which was accounting for the problem. Now, I'm in the process of having it replaced, but that means I won't get back to it for several days. At least I wasn't trying to show it to friends and been embarrassed by the disc flaw. I streamed the HD version of Steel Magnolias from Amazon Prime instead and had a good time laughing and crying along with it. Unfortunately, Warner Bros. did the best they could with the original elements. There is no stereo track available and the Warner Color elements are not very good. There are many opticals and dupe dissolves. The image quality varies from shot to shot. Some shots look quite beautiful, while others are very smeary and muddy-looking. From what I understand, Giant was filmed in 1:33:1 and cropped on the top and bottom to give it a 1:66:1 aspect ratio in theatres. The extras on this are outstanding with several documentaries with cast members Rock Hudson, Carol Baker, Jane Withers and others — Carol Baker and Jane Withers sharing some of the most interesting stories about James Dean. For some unknown reason, Elizabeth Taylor never participated. The extras on this are outstanding with several documentaries with cast members Rock Hudson, Carol Baker, Jane Withers and others — Carol Baker and Jane Withers sharing some of the most interesting stories about James Dean. For some unknown reason, Elizabeth Taylor never participated. Sadly, Elizabeth never participated in DVD extras of this sort. The one exception being a featurette for another Stevens title, A Place in the Sun, and I think that was mostly to honour Monty Clift. They did love their dissolves back in the day. An "A" list Color production initially filmed in Academy Ratio in 1955? Interesting! Wasn't that quite normal? If a film wasn't being photographed in an anamorphic process, it was pretty much the standard procedure to expose the whole negative and have the picture cropped in projection. I really don't know how often films were matted in camera, but I don't believe it was the most common process. I knew that it was normal for Black & White "B" movie fare, but it was my assumption that large scale Color productions, such as GIANT (1956) weren't part of that by 1955, no? As I understand it, George Stevens was not a fan of Cinemascope when Giant was in production. Hence they went with an open-matte. Virtually all productions not shot scope, were 1.37. Exceptions, involved various mattes in camera. Some with multiple, or different mattes, per camera. Wide-screen = 1.37 matted in projection, either RA or FA. All Vista and TLA shot full open matte 1.50. I think you may be mixing up the difference between filmed in Academy and composed for Academy. Not having viewed GIANT in a very long time, I mistakenly assumed that it would have been shot in Cinemascope, but I was obviously thinking of REBEL WITHOUT A CAUSE (1955), which I know was filmed using that process, as initial Black & White shooting had to be scrapped, since all Cinemascope productions had to be filmed in Color at that time. Thank you very much, RAH for your clarifications! I did end up finishing Giant today. The transfer certainly does wax and wane in sharpness throughout, as many have said, due to the opticals, WarnerColor, and other photography problems. When it's good, though, it looks smashing. And at least it's clean with no specks and scratches. And yet he never made another film in that aspect ratio! I wonder if he tried to have The Only Game in Town framed at 1.66:1? Even more ironic, his two subsequent films to Giant were 2.35:1 (Diary of Anne Frank) and 2.76:1 (The Greatest Story Ever Told). 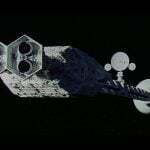 They started filming The Greatest Story Ever Told in 3-panel Cinerama then changed over to Ultra Panavision. In the documentary they mention Super Panavision 2.2 was changed over to Ultra Panavsion 2.76 but that's wrong. Will the advancement of technology ever make it possible for "Giant" to receive even further efforts of restoration? I'm not an expert, but I'd assume it might be possible at some point. The bigger issue is would it be worth the additional expense to the studio, or is the current master "good enough"? If there’s no image on the negative, one would have to re-shoot, which carries with it, its own set of problems. We have always considered this as one of the finest films released by Warner Bros. It is great to note that "Giant" has been released in Blu-ray. Or, with the advancement of photorealistic CGI, completely recreate the dupe sections digitally. 🙂 But that’s going a bit too far, don’t you think? I've always believed that Giant being filmed flat was due to Elizabeth Taylor's aversion to CinemaScope (in particular the CinemaScope mumps), Miss Taylor's first wide format film was Raintree County, filmed in MGM Camera 65 with Panavision lenses and although Butterfield 8 carries a CinemaScope credit on the titles it was filmed with Panaviion lenses. That sounds extremely unlikely. In 1955 (when Giant was filmed), Ms. Taylor didn't have the clout to dictate to a major studio like Warners or a director like Stevens, what format a movie should be filmed in. Indeed, she was still forced to make movies she didn't want to make (like Butterfield 8). Her clout came after Cleopatra (1963) when, arguably, she was the biggest star in the world. She could even insist a movie set in Las Vegas like George Stevens' The Only Game In Town be filmed in Paris because she didn't feel like going to Vegas. Now, that's clout. She had the clout when making Cleopatra to demand the studio use Todd-AO as the filming format, had approval on the director, and forced the studio to accept Rouben Mamoulian's resignation. Her making BUtterfield 8 was a legal requirement so she could fulfill her MGM contract and finally be free from the studio. What about HDR? Can that do anything to mitigate the effects of generation loss from optical printing? And the clout to ask for—and receive—a one million dollar salary and 10% of the gross for Cleopatra. With overtime she made something like $7 million on that film. Not too shabby! I do not believe that Taylor forced Fox to use Todd-AO, by the time that Cleopatra went into production Fox owned the Todd-AO process (and had already used it on Can-Can) and as the film was to be their response to MGM's Ben-Hur in the epic stakes, there was never any doubt that it would be in 70mm. The fact remains that at a time when every Hollywood studio except Paramount was adopting CinemaScope for their big movies, Taylor was the only major Hollywood actress never to make a CinemaScope film. Yes, HDR can make it worse. It is worth noting that after the development of Cinemascope Darryl Zanuck dictated that all of Fox's "A" features would be filmed in scope. If you watch Ottos Preminger's 1954 films "River of No Return" and "Carmen Jones" while both were required to be photographed in Cinemascope, in "River of No Return" he embraces the scope framing, while in "Carmen Jones" he largely rejected it. For the famous closet scene in "Carmen Jones," Preminger effectively dumps the cs ears and frames the film's climax in what amounts to the academy sound format. Just because you tell a director what to do does not mean he won't find a way around it. They specifically mention her demanding the use of Todd-AO in the documentary Cleopatra: The Film That Changed Hollywood. When Cleopatra initially went into production, it was thought of being a production that could be affordably made on the Fox backlot, until Walter Wanger's ambition (and Liz Taylor's request to film outside the US) expanded the scope of the production. This information is supported by Wanger's tell-all book My Life with Cleopatra, IIRC. I'm not sure where you're pulling your information. 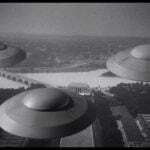 Actually no, it was filmed with Panavision lenses so it actually was Panavision. It was just advertised as CinemaScope because it was before Panavision took credit for their 35mm lenses. Cinemascope is just a tradename just like any of the hundred or so other 1.33:1 with a 2x squeeze formats, At the end of the day they're the same thing. Just because a story has been bandied around over the years doesn't make it true. Fox obtained control of the Todd-AO corporation in 1958 after Mike Todd's death (as related in John Belton's authoritative book "Widescreen Movies", Harvard University Press, 1992). Having made Can-Can in Todd-AO, it defies logic that Cleopatra would be made in lesser format. Not true. 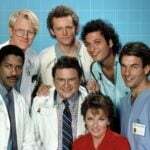 Hollywood developed an optical "vaccine" for the mumps decades ago. Panavision ensured that the anamorphic squeeze of the image was applied uniformly across the image, unlike early CinemaScope with its distortions. And just because Todd-AO was obtained by Fox after Todd's death doesn't necessarily mean that Cleopatra was always guaranteed to be made in the process. Fox made no movies in the process from 1960 to 1963, so I'm not seeing a burning desire of Fox's part to use the process. For now, I'm going by the extant story, and not more supposition, until I can find a complete copy of Taylor's contract for the movie. And it's still the case. Most actors are paid a fraction of the multi-million dollar paydays that get widely publicized. Cleopatra was made between 1960 and 1963! Shooting started in CinemaScope, changed to 3-panel Cinerama and finally to Todd-AO. Since when has Wikipedia been an authoritative source? For what it's worth, I believe that Cleopatra was originally conceived in the late fifties as a relatively cheap CinemaScope production to be filmed on the Fox backlot and starring Fox contract artist Joan Collins. Then Fox acquired Todd-AO, saw the massive success of Ben-Hur and upscaled the whole project. 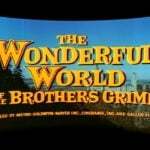 I do not believe that anything was shot in CinemaScope and as for three panel Cinerama, I am pretty sure that MGM had an exclusive deal with Cinerama for the use of the process in narrative films, hence How the West Was Won and The Wonderful World of the Brothers Grimm. I was able to watch my copy this past weekend (for the first time, first time seeing the film). I enjoyed it quite a bit. I'm now working my way through the extras.
. . . I believe that Cleopatra was originally conceived in the late fifties as a relatively cheap CinemaScope production to be filmed on the Fox backlot and starring Fox contract artist Joan Collins. Then Fox acquired Todd-AO, saw the massive success of Ben-Hur and upscaled the whole project. Fox did indeed tentatively plan a cheap and cheerful remake of Cleopatra as well as similarly cheap remakes of several other films. Then they were approached by Walter Wanger who wanted to remake Cleopatra as a big budget prestige film with Elizabeth Taylor and who was, I believe, unaware that Fox already had plans for a quick, low-budget movie. Fox were soon convinced that Wanger's idea was more sensible. It has long been accepted that the decision to use Todd-AO was due to Elizabeth Taylor's involvement. The whole "Elizabeth Taylor insisted on Todd-AO" thing was started by people who had the mistaken belief that Taylor still had a financial interest in the Todd-AO Corporation, inherited from Mike Todd. This was not the case, Fox acquired the Todd AO Corporation after Todd's death in 1958. What possible reason would Taylor have had for insisting that the film be in Todd-AO (rather than Super Panavision or Technirama or any other process), and what possible reason would Fox have had for not making such a prestige production in a process that they owned? Over the years people have put two an two together and made five, the two and two being the mistaken belief that Taylor had an interest in Todd AO and her well known disdain for being photographed in CinemaScope. It seems you have provided the answer to your own question. If Elizabeth Taylor balked at the idea of being photographed in Cinemascope, why would she not ask for Todd-AO? She had at least a sentimental attachment to the process. She had never had any connection to either Super Panavision or Technirama. This is exactly what I mean by people mistakenly thinking that Taylor still had an interest in Todd AO. Fox owned Todd AO, there would be no question of hefty licensing payments! I repeat, Fox had already made Can-Can in Todd AO, so this is all nonsense, but if it were true why did Taylor not insist on any of her other films being made in Todd AO? Sentimental attachment? Cleopatra was the one and only film that Taylor made in Todd-AO. Why didn't she insist on Raintree County being made in Todd-AO, or any other film that she ever made? A) Taylor was a contract player with MGM, and did not have the kind of superstar clout she would later have by the time she finally completed her contract with the studio with BUtterfield 8. B) MGM Camera 65 was, as the name implies, MGM's proprietary filming format, so naturally they would wish to use that, rather than go through the extra expense of licensing another format. C) MGM was not doing very well financially at the time Raintree County was made, which would definitely preclude expensive demands made by Taylor. If she didn't like it, there was nothing she could do as she was still under contract to the studio. D) Taylor later made no films with Fox after completing her MGM contract or finishing Cleopatra during the period Fox continued making movies in Todd-AO, apart from The Only Game in Town. 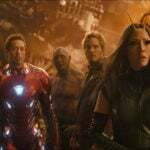 If you look at the list of movies made in the process, they're all Fox productions – no other studio leased out the filming process, choosing to use Super Panavision or Technirama. Because she didn't need to! Raintree County was shot by Robert Surtees in Camera 65 and most certainly not using lenses from Bausch & Lomb. She wasn't able to anyway. Raintree County was an MGM movie and at that stage Elizabeth Taylor was still an MGM contract actress. 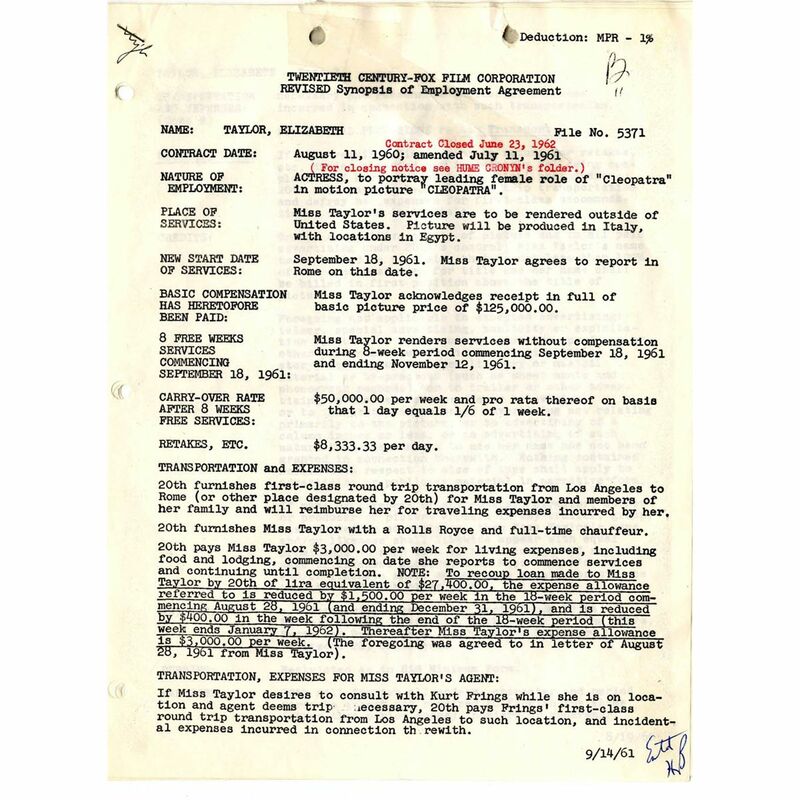 In 1958 Twentieth Century-Fox Film Corporation invested in Todd-AO through acquisition of four percent of preferred stock from Magna Theater. Magna, partially owned by Michael Todd, then owned 63 percent of Todd-AO, while AOC held the balance. Fox also acquired the rights to film at least one picture a year in Todd-AO over the seven and one-half years. Fox filmed all the post 1958 Todd-AO films except for The Alamo (United Artists) and Airport (Universal). Since Todd also died in 1958, I would assume that Taylor inherited his shares of Magna Theatre, but by the time Fox produced Cleopatra they owned a stake in the process, so I’m gonna go with side that Taylor did not insist that Todd-AO be used. Fox already had the rights for one picture a year and Taylor did not receive any monies from it. The truth is probably somewhere in the middle. Even if Miss Taylor no longer had an interest in Todd-AO, she probably insisted on it simply because it was Fox's proprietary large format alternative to CinemaScope, which she detested. The truth is probably somewhere in the middle. Even if Miss Taylor had no longer had an interest in Todd-AO, she probably insisted on it simply because it was Fox's proprietary large format alternative to CinemaScope, which she detested. Can't really blame her. Cinemascope was ugly as hell. It wasn't until Panavision came around that a decent looking anamorphic image was possible. Fox filmed all the post 1958 Todd-AO films except for The Alamo (United Artists) and Airport (Universal). Wasn't Porgy and Bess filmed in Todd-AO? To answer the first part of your question, Elizabeth wasn't even get seriously involved with Mike Todd until filming of Raintree County was underway. They got to know one another largely by telephone while she was on location making that film. Yes, it's an easy one to forget since we haven't had the opportunity to see it in the home for a long, long time. Porgy and Bess was, however, a Columbia release in 1959. So it is not an example of a Fox film shot in Todd-AO. I believe that it was Ben-hur that brought about the consensus decision that 70mm would be the industry-standard premiere format. This is because of the number of theaters that installed 70mm for Ben-hur. (Recall that no 70mm prints were struck for Raintree County.) From the perspective of the exhibitors, the real investment was in the 70mm projectors and sound system. The various trade-marked 70mm variants were identical to the exhibitor with the exception of Camera 65/Ultra Panavision 70, which only required special lenses, as well as aperture, screen, and masking adjustments. The 70mm projectors, beginning with the Norelco DP70, all functioned as excellent 35mm projectors, including both optical and magnetic sound. The 1950's had been a rough time for exhibitors with multiple changes in equipment. Many smaller theaters could not keep up. So this stabilization was important. After Ben-hur, the premiere roadshows were all in 70mm, save for the 2 3-strip Cinerama movies already in production at MGM. MGM had hedged its bets after considering 3-strip Cinerama for Ben-hur. The verdict of studio processionals was that 3-strip was unworkable after HTWWW and Brothers Grimm, pushing everyone to 70mm. I would be remiss not to observe that 70mm is still the acknowledged premium capture/exhibition format, nearly 60 years later. Several high-profile directors are still using it. I have been fortunate to see multiple films in 70mm this past year. Oklahoma!, now owned by Fox, is still the technical high-water mark of cinema (outside of specialized and experimental venues) almost 62 years later. The 4k digital restoration, is mind-blowing! Nobody said it was. If you'll look a couple of posts back, you'll see that my first comment (question actually) about Porgy and Bess was in response to the statement from Allen that Airport and The Alamo were the only non-Fox Todd-AO films from 1958 onward. Roadhsows were projected in 70mm but some were not filmed in 70mm. The practice of using blow-ups did not begin until The Cardinal as I recall. Even then, most films exhibited in 70mm were also filmed in 70mm (i.e., 65mm film) for some years. Dr. Zhivago in 1965 was a deplorable example. I was thinking on titles filmed in Techirama (8 perf horizontal 35mm anamorphic), that were presented in roadshow 70mm starting in 1959. (1960), for example, is magnificient in 70mm prints and perhaps the best example of Technicolor I can think of in the 35mm prints. Sleeping Beauty (1959) was terrific in the original 70mm prints. The rights on Porgy and Bess are, to be polite, a mess. Any video release has been held up by the Gershwin estate, and while it was a Samuel Goldwyn production, apparently his lease on the rights was only for 15 years. The real issue in getting this one on a home format appears to be finding suitable elements. And Technirama, being a lazy-8 format, isn't much of a blow-up: the maximum usable area of a Technirama negative is 1.496" x 0.992" with a 25% horizontal squeeze yielding an effective image 1.87" by 0.992", contrasted with the negative area of 65mm which is 1.913" x 0.868". Cinemascope 55 productions were actually reduction printed to 70mm in the "Grandeur 70" format.